Ferris High School teacher Mandy Manning has been named National Teacher of the Year, the Council of Chief State School Officers announced this morning. Manning, who has been a teacher for 18 years, currently teaches English and math to newly arrived immigrants and refugees at Ferris. As the winner of the award, she will spend a year traveling across the world representing and advocating for teachers. Later this month, she will visit the White House. "This year I hope to engage the nation in a conversation about how we can encourage students to experience things outside their understanding," Manning says in a news release. "This is the first step in creating a more hopeful, safer and kinder society where everyone can be productive, global citizens." Manning was already the 2018 Washington Teacher of the Year. In addition to teaching immigrant and refugee students, she also teaches fast-pitch and girls basketball, advises the writing club and co-advises the Gay-Straight Alliance. Washington State Superintendent of Public Instruction Chris Reykdal says he is "thrilled the rest of the country will have an opportunity to get to know Mandy." "She is an exemplary leader in our state because of her dedication to each of her students and for her love of continuous learning," Reykdal says. "We have a legacy of excellent teaching in our state that Mandy strengthens with her passion for students." 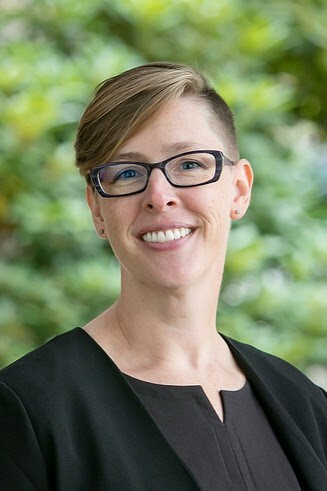 Kim Mead, president of the Washington Education Association, says Manning "embodies great teaching, dedication, union activism and, most of all, compassion for every student and everyone who is lucky enough to spend time with her." "Her work welcoming immigrant students is a fundamental building block to their process of becoming U.S. citizens," Mead says. The winner of the award typically gets to visit the White House and President Donald Trump. Read about what Manning would say to him in our feature story on her from January. Watch a video Spokane Public Schools put together about her classroom here.